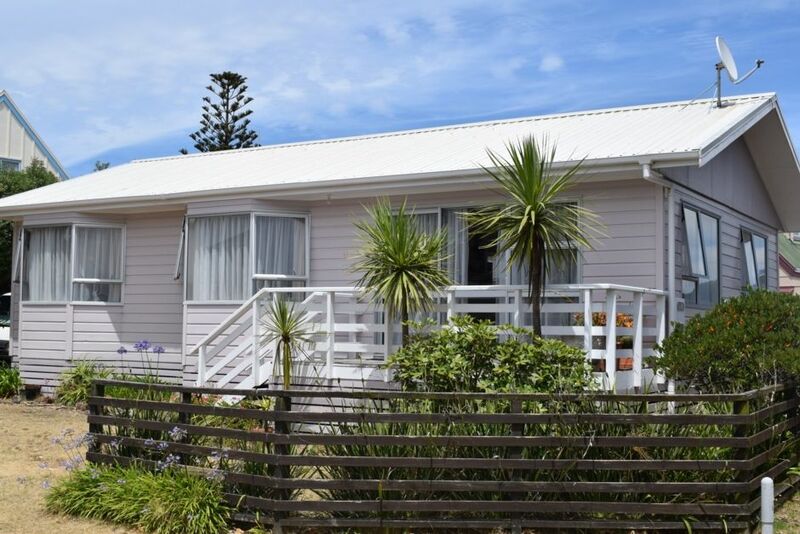 Just 2 hours from Auckland to the north and 45 minutes from the thriving Mount and Tauranga. The climate encourages the farming of kiwifruit, avocados and citrus fruit and there are many roadside stalls with fresh locally grown fruit and veges. As well as beach activities you can trek or cycle through the historic gold trails in the Karangahake Gorge or visit Historic Waihi Township - view the depths of the Martha Mine. Enjoy a train ride from Waihi to the quaint Waikino train station. We have bikes and boards available and for your enjoyment. Lovely comfortable house with everything you need! My friend and I hired this house for a weekend holiday at the beach and had a lovely time. The house was well set up and a comfortable "family bach". You can't see the ocean beach but can see the estuary towards Athenree, and with decks on two sides of the house you can happily sit in the sun or shade to read or dine outside. The beds were comfortable, kitchen had everything we needed, and the lazyboy chairs to watch tv at night by were an extra treat! Only a 2 minute walk across the dunes to the sea, this is a great affordable bach to get away to and enjoy the beach. The owners were great to deal with and I highly recommend. I'd happily stay here again. Would recommend. Close to the beach. Everything that you needed was provided . Graeme, so pleased it worked out well for you at the grand children. Thank you too for taking such great care of the place and leaving it spotless. We look forward to welcoming you back in the future. Great little place to have a holiday, close to the beach and boat ramp. Also good for walks and trail riding. Great location - nice, quiet and very close to the beach. House had everything that was needed for the perfect weekend. Had a family wedding for the weekend and house was perfect! Thanks so much! Perfect kiwi bach in a beautiful place spotlessly clean couldn't have siuted our requirements better!! Well-appointed Bach with everything needed for a relaxing holiday. Well-appointed Bach with everything needed for a relaxing holiday. Surf Beach and harbour within reasonable walking distance. Nearest shop a 5min drive. Some of the furniture needs a bit of TLC, and the shed could do with a new fastener. A smoke alarm outside the bedrooms would be recommended. DVD player not working. Very roomy fridge, and good to have a washing machine. Lovely deck areas.